There are brands out there with incredible name recognition like Coke, Pepsi and Nike. Let’s face it…there are also other kinds of brands, like the ones you put on cows that make them moo scream as the ranch logo sizzles permanently onto their skin. Since I had both hips replaced, I found a new favorite kind of sock. It has very loose elastic at the top which helps with swelling in your feet. I have had them for a couple of years and it never hit me until this morning that I have been branded…and today I am letting out my own moo scream. For some reason this time when I looked at my feet, the logo or brand offended me. 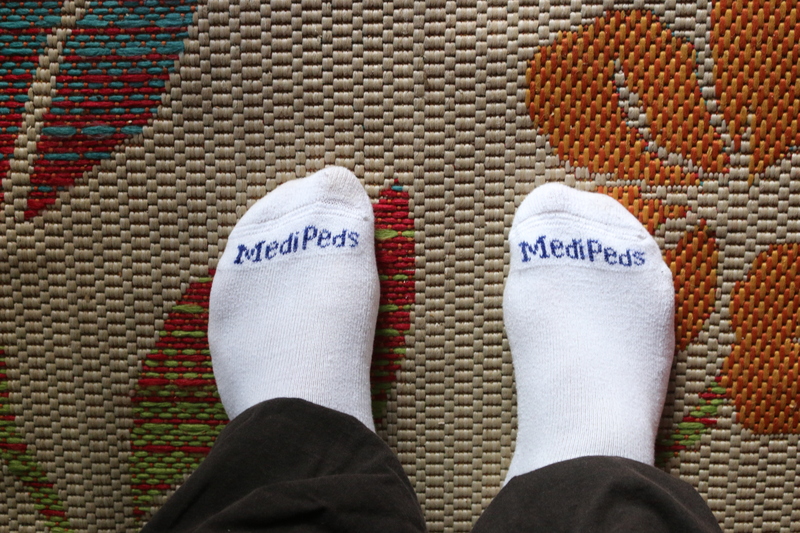 Why not put the Medi Peds logo somewhere else on the sock so that I do not have to be told that I am no longer part of the “Active Ped” Society. I love these socks but they make me want to hurry and put on my shoes (hey…maybe that is their strategy to get us up and walking). Once you dictate that we are part of the Medi Ped society, I am sure the Medi Fed and Medi Bed societies are not far behind until we finally join the Medi Dead society. Why not put something motivational or fun on the toe of these socks. How about, “Turbo Feet” or “Feat Feet” or “Seize the Day”. Even if they wanted to keep it medically associated, they could have written, “Walk or Die”. Many major retailers advertise “loose fitting activewear”. How well would they do if their ads were centered around loose fitting medical or coffin wear? I remember the days when tube socks came with stripes in your school colors and socks were everything on the basketball court and football and baseball fields. Maybe there is a part of me that does not want to accept that my new school colors are lab coat white and varicose vein blue and my new team is Medi Peds. For all of you marketing guru’s out there that are counting on cashing in on the silver tsunami, remember that we still think like we are 20. Put some racing stripes on our diapers and make koozies for our pill bottles. We may not remember where we left the keys but we dang sure can remember what it was like to be young. 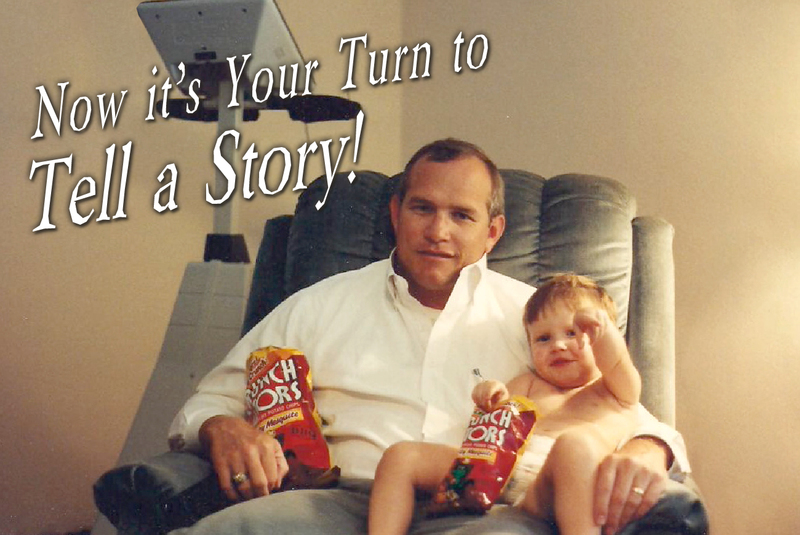 If you enjoyed this blog, please share with your friends. If you would like to be notified of future blogs by Gary, please hit the “follow” button at the top of this blog. If you are using a smart phone the “follow” icon is sometimes at the bottom of the blog.